I was destined to come to Ryerson. That is the conclusion I arrived at during my last months at Northview Heights Secondary School. I had received acceptances from all the universities I applied to, but only one school was really an option and to understand this the past must be slightly explored. My mother, Eileen, was in the interior design program at Ryerson in the 80’s, before Ryerson was granted full university status and still went by Ryerson Polytechnical Institute. It was during her time there that she met a Greek geek named Gus who worked at the Mr. Sub on the edge of Ryerson campus a.k.a my dad. 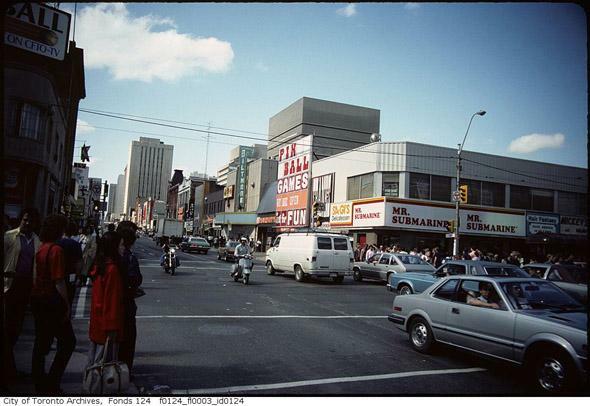 This is what the North-East corner of Y&D looked like back then. Weird right? So you’re probably thinking now “Oh, cute, your parents met here so then you were like ‘OMG I belong here’”. But that is not where the story ends. 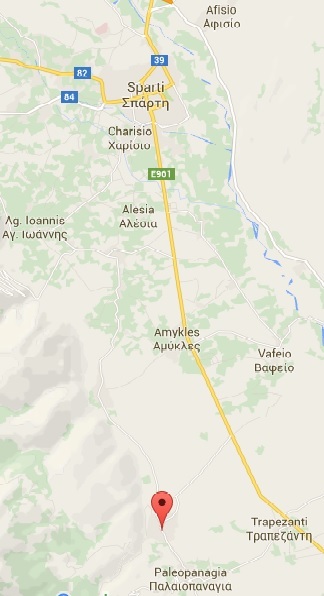 That red spot on the map represents Anogia, a tiny village south of Sparta, Greece. In that town, my grandmother on my mom’s side, Georgia, and my grandfather on my dad’s side, Anastasios, were childhood friends. 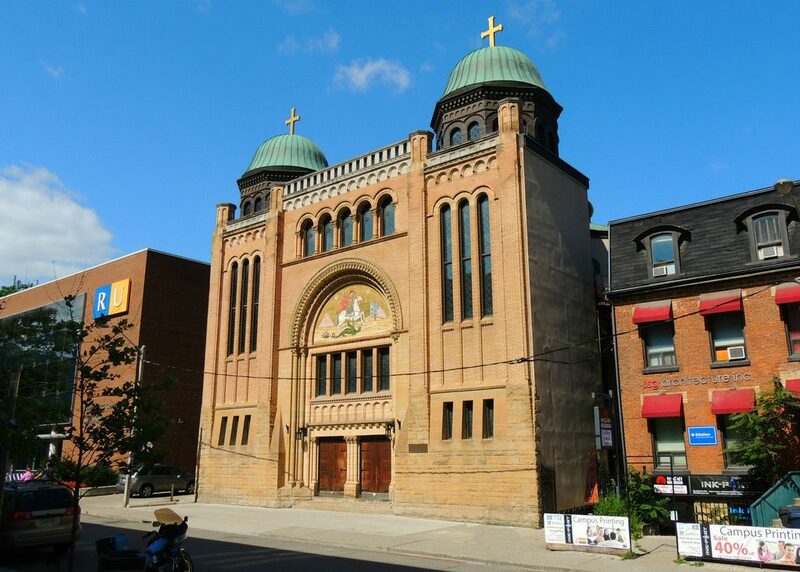 They grew apart after Anastasios moved to Canada with his new wife, and had two children, the eldest being my father. Georgia got married in Greece and came over with her new husband Michael five years later and they had three daughters together, the first one would be my mother, Ryerson Alumni. Georgia and Anastasios would not come into contact for roughly twenty years of living in Toronto until after my parents had started dating and my mom pointed out my dad and his family to her parents at a Greek social event in the basement of St. George’s. So there I was, sitting in my room showing my parents my acceptance notifications from York, U of T and Ryerson. My parents decide it’s time to share this just-crazy-enough-to-be-a-movie epic saga of how they got together and how Ryerson campus was the setting for two acts of their relationship. Before I continue, humour me and take a second and consider what you would’ve done if you were in my position. Of course, I chose Ryerson. I hadn’t even visited the school yet, but it didn’t matter, a book-reading bluray-buying narrative nerd like myself could not resist the opportunity of adding another chapter to my family’s history with the school. 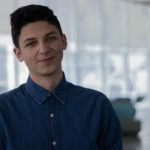 Cut to present time: I’ve just wrapped my second year, and am getting the hang of my new position as Orientation Sponsorship and Finance Assistant. It has definitely been a journey getting from that acceptance letter to now. My first year as a member of the Ramily definitely felt overcast by the shadow of my parents’ story. But soon enough, I started to grow my own repertoire of Ryerson memories and I’ve definitely been able to separate my parents’ Ryerson from my own Ryerson. We’ve taken a couple strolls through campus since then, and now I’m leading them through the buildings they’d never seen, pointing out my favorite spots and sharing my own adventures with them. Given that this story is essentially 60+ years in the making, my family’s ties to my school have me thinking about destiny, the plan, or whatever you want to call it, more than usual. I sincerely love Ryerson University and without my parents’ story I honestly do not know whether or not I would have chosen to come here. Maybe this means that I had no choice in coming here, that I am part of a story and I’m not the main author. While I still enjoy the thought that there is no plan and I was free to choose, the universe sure has made one hell of a case for why I was destined to be a Ram. I am a jack of all trades and a master of none. I love FibreOne’s and FibreOne’s love me.